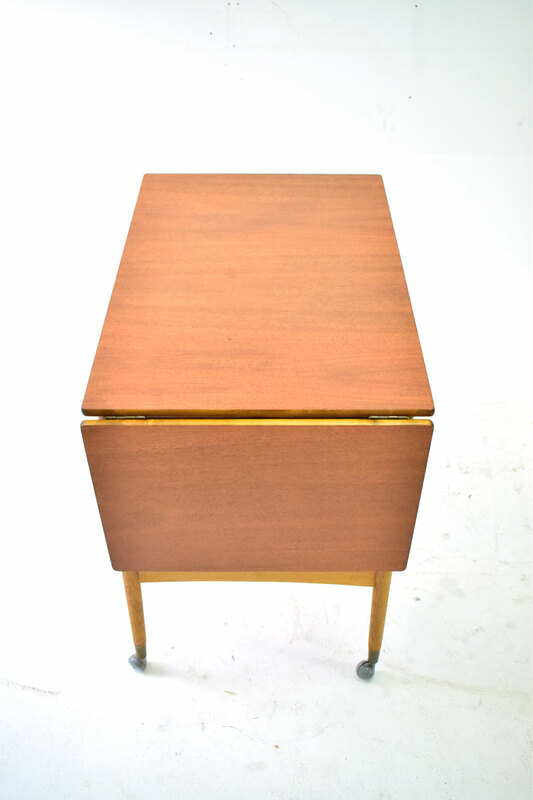 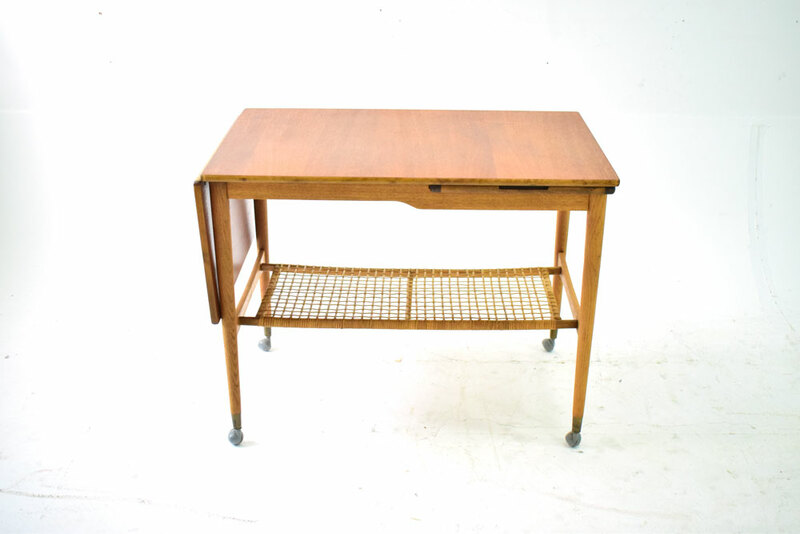 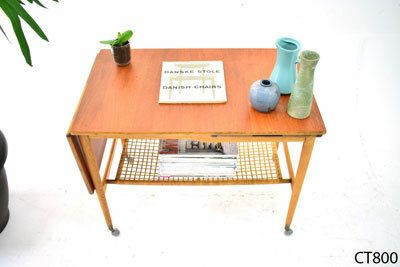 Vintage Danish hostess trolley in teak, oak and cane with removable serving tray. 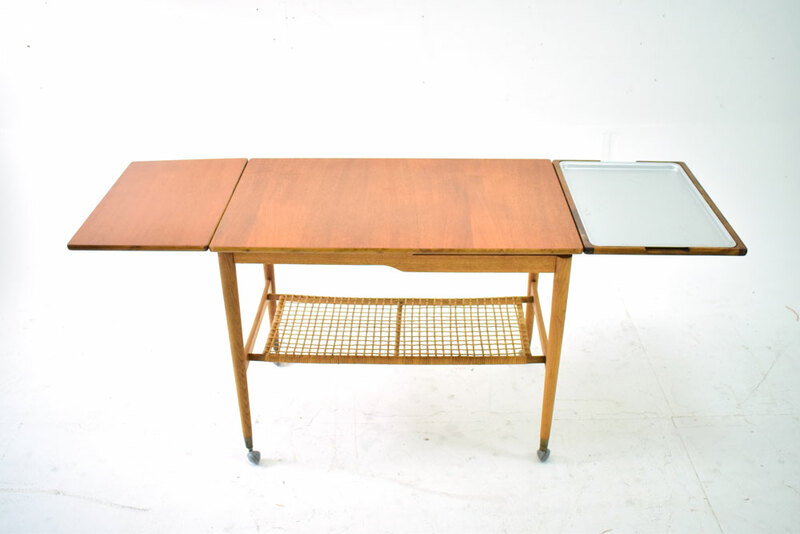 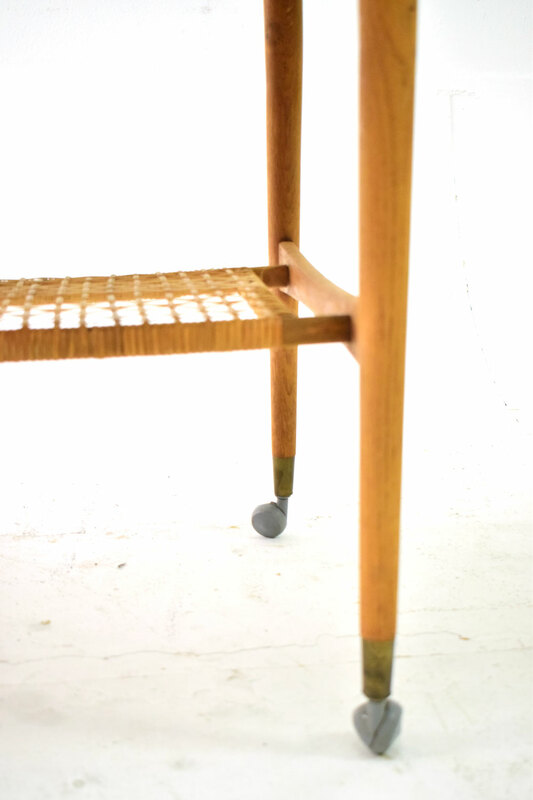 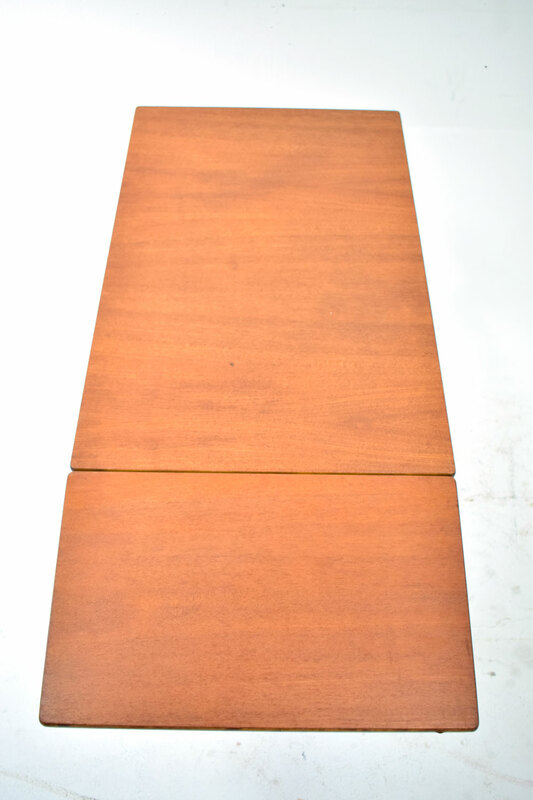 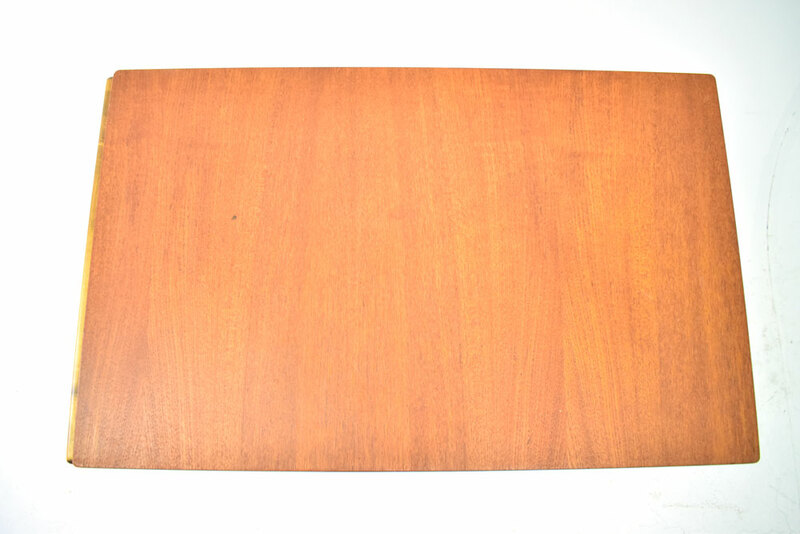 It is made of teak, oak & cane, and features a removable serving tray. 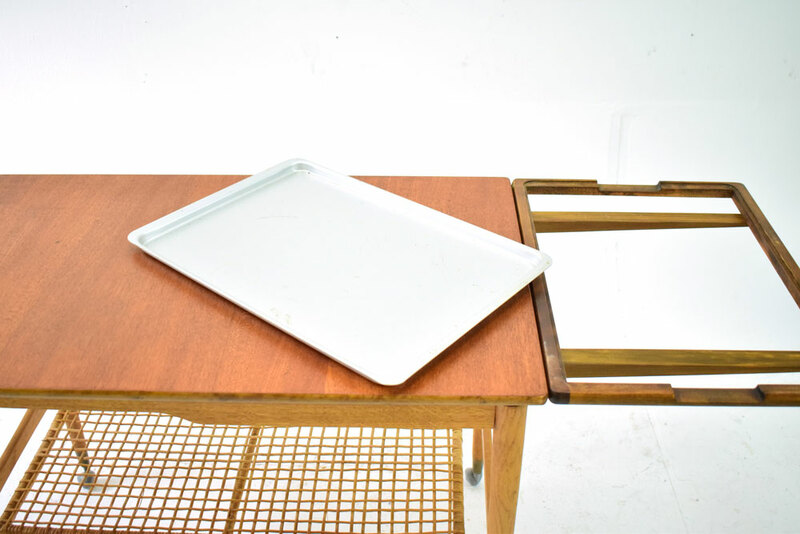 The serving tray is stored at the end of the trolley. 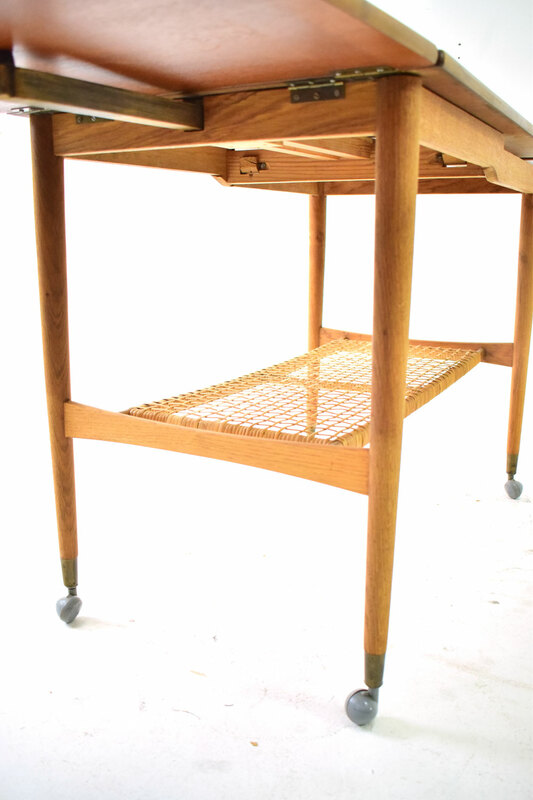 The magazine rack underneath the top is made of cane. 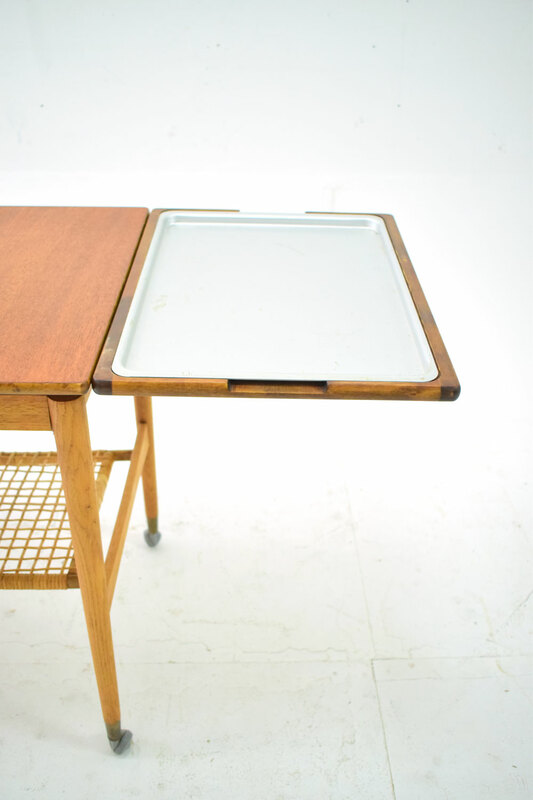 Condition: Very good with lovely patina and very minor signs of use & age.